Compared to the same sporting event eight years ago, the 2014 World Cup marked a big difference in where companies in the sports arena focus their marketing efforts, said CIO Jan Brecht, speaking to us from Adidas global headquarters in Herzogenaurac, Bavaria. "In 2006, it was almost entirely television and print media spend; if you look at 2014 Brazil, the vast majority is digital. So what needs to happen to be as successful in the digital world as we were in the analog world?" In a conversation with IDG, Brecht talked about how to build a successful digital marketing effort, as well as how he's using IT to help drive other parts of the business forward. Here's an edited transcript. IDG: What do you see as the most important factors in IT's involvement in digital marketing? Brecht: I would say there are three areas. One is the team. The second one is the way you talk to consumers, which has shifted from the monologue you were having in television or print. It's a very fundamental shift in the way you interact. And the third area is in fact technology, which has also come a very long way. If you go back to World Cup 2006, iPhone didn't exist, or any smartphone, and today's world is almost unthinkable without them. IDG: How were things different at the 2014 World Cup? Brecht: We set up an entire social media hub in one of the hot spots of soccer, which is the Maracanã stadium in Rio de Janeiro. We not only put our people in there, but we co-located a newsroom with Google people, we had a very close cooperation with them. We played on every relevant social media platform, certainly not just Facebook and Twitter, but anything we can do to connect, and we didn't just send messages, but we listened. Every day, we had a social media sensing report, telling us what the feedback was on social media. Every day, we measured the retweets of our messages, measured Facebook posts, through scanning thousands, and hundreds of thousands, of messages, getting consolidated feedback through social media sensing. So all of a sudden, your entire conversation changes from a monologue to dialogue. We definitely won that World Cup from a marketing perspective. We had 22 percent higher share of voice than any other [sports] company in the World Cup. The ball was tweeting! Our soccer ball was tweeting. That thing had millions of followers. Through that social media hub, which was truly interacting with the consumer, we won that World Cup from a marketing perspective. IDG: Talk about the team. How has your technology group worked with the marketing group? Brecht: We were pretty honest with ourselves. The IT guys realized, we probably do not have the creativity it takes to run a successful marketing campaign from a creative perspective, and the marketing guys were equally honest in saying, we probably don't have the technical skills to put our creativity into something which is scalable and secure. After quite a bit of discussion, we decided to fully integrate. We call it the digital experience team, with digital creative perspective and digital technology perspective. The team is led by one person, reporting to both the CMO and the CIO. And that team cannot distinguish whether they are marketing or IT. We made that change effective as of November 1st, 2013, and I think that was probably the most significant step to being successful. Because that lays the foundation of not having all the finger-pointing: 'Oh the IT guys don't get the creative stuff, the marketing guys don't get it scalable, it breaks down.' The theme is: One accountability, end-to-end responsibility, whether it's the creative piece or the technology piece. Today everything is based on technology, everything is on social media. It's why you cannot do without IT, but certainly you cannot do without creative. So that's number one, team, very important. IDG: That's a challenging role for the head of the team, to report to two executives. How do you resolve conflicts with the CMO? Brecht: By talking to him. I think the structure makes sense but it always depends on the people who fill it. It took some time to make expectations realistic on both sides. We've also put a much more structured process around the campaigns. For example, the IT guys of the joint team are now part of the selection of the creative agencies, so from the very beginning there's a quality gate, which makes things a little more strict in the beginning, but then you're much faster toward the end, because in former times, the implementation was only considered once the creative work was done. That's considered a lot earlier, and the structured process makes it a lot easier for marketing and IT to work together. That requires a lot less conflict and debate between CIO and CMO. And we get along well, so that helps. IDG: What are the most important areas of change in technology that you see? Brecht: The picture I always use with my internal team, not only IT but also the board, is the famous genie in the bottle. For decades IT was managed in a way that as CIO, you would have a nice bottle, your data center and applications, put a plug on it, and try to keep it under control as much as you can. That's scalability, that's reliability, that's security. Well guess what, that game has entirely changed. If I look at how we run IT today, if I look at the smartphones of our Adidas consumers, [in total] they probably have a million times or trillion times more computing power, sheer technology, than anything I can ever have in my internal data centers. That genie has left the bottle. So how do I not just make sure that I keep my applications and data centers under control, but how do I actually leverage the technology that is in the hands of the consumer to engage them for the brand. And that's something IT needs to fundamentally unlearn and relearn, because, again, this is technology we do not have under control. It's not in the bottle, yet we need to connect to it. Just to give you two examples of that: Number one is the ZX Flux, which is a shoe, and there's an app, you can find it in the Apple iTunes store, or on the Android store. Take a picture with your smartphone, any picture you want -- it should be appropriate content -- and then you can project it on your shoe. We make that shoe for you, and you will have the picture you took with your smartphone on your shoes. Another example, called Snapshot, you can kick or throw a ball, and your smartphone will measure the speed with which you've thrown or kicked the ball. And again, that's interaction, that's not just sending trivial marketing messages, but you engage people with the brand through technology, which is not technology that we have bought, but technology that is in the consumer's hands anyway. IDG: Another area of challenge for CIOs working with CMOs is navigating the vast array of tools sold for digital marketing. Are you developing in-house or buying externally, and who are the interesting vendors? Brecht: It's mostly external. The pace at which these startups move is very difficult to match internally. So you do go to tools on the market, social media sensing and data analysis in particular. There are new tools every quarter, so in terms of social media sensing, we've probably tried at least eight or 10. We've always had the best tool at the time, but there's another even better tool six months later, so that is changing rather significantly. What I can tell you is, usually it's not the well-established companies, the big incumbents of the IT industry. And the pure startups are usually a little too fragile, let's say, for a company our size. What you want is companies that are strong at being able to correlate your data. If I can give you one name, there's SAS, a company with a background in statistics research. It's a medium-sized company, super smart in doing your data correlation, and these are the guys you would want to work with. They're nimble enough to adapt, not as slow as the big incumbents in the IT industry, yet they are not as volatile or as fragile as the startup around the corner. IDG: Beyond digital marketing, what are some other areas where you see technology helping to grow Adidas's business? Brecht: One is soccer in the US: in the US you need statistics about sports, right? Baseball is statistics-driven. So one thing we did with Major League Soccer in the US is, we equipped them with microsensors, little sensors you put in the sole of your shoe, and then you can collect all kinds of on-field metrics. The point there is: wearable technology. That will also be for the person who wants to train for the next marathon, and has an individual training plan set up [aided] by the wearable technology that we offer. That's certainly a field where IT is not only enabling the business, but going forward will generate revenue because you can sell this stuff. And, in addition to my position as CIO, I've also taken over global supply chain for the Adidas group. We're looking into synergies with IT and supply chain. The good old RFID technology -- which has been discussed for decades in most companies but almost never implemented [beyond pilot projects] -- has huge potential. If you are able to track your product from the point at which it gets manufactured into the store, along the entire supply chain, there's very significant potential to decrease working capital, increase full-price sell-through, product availability, et cetera. What is our role? The wearables area is conceptually led by a product department, because that is a product we sell, but we do all of the mobile and back-end development for it in IT. And RFID, that's IT-led. I think now we're at the price point of these RFID tags where it all of a sudden makes sense, also for lower-priced items such as a pair of shoes. We've done it, on a larger scale, with our Neo brand, and it's helped significantly to improve product availability in the store. So we are now looking at expanding that on a larger scale. IDG: What are you looking for these days when hiring IT staff? Brecht: Probably the biggest opportunity we have, not just at Adidas but at most companies, is to really change the decision culture to something which is data-driven. I'm the first one to acknowledge the importance of intuition, but please make sure you base decisions on data. And there you see a big difference with the companies who had the advantage of being born late enough to have that data-driven decision culture in their DNA such as Google, Amazon, Zappos, Zalando, online players. If you have a long history, that's a cultural change you have to introduce. So back to the talent question, finding people who are data scientists is probably the most rare skill to find at this stage. What you need as a data scientist is the statistical tools, and technical knowledge, and then the key skill is to apply that to your business context. That is industry, if not company-specific. So either you take a strong business person, who is strong in an analytic way, and you train them in the statistical tools, or you take someone who trained in the statistical tools and teach them business acumen. It's extremely difficult to find both in one person outside your own company. Being able to read and understand the data, then use it for what I call predictive analytics, is probably one of the biggest opportunities that we have. 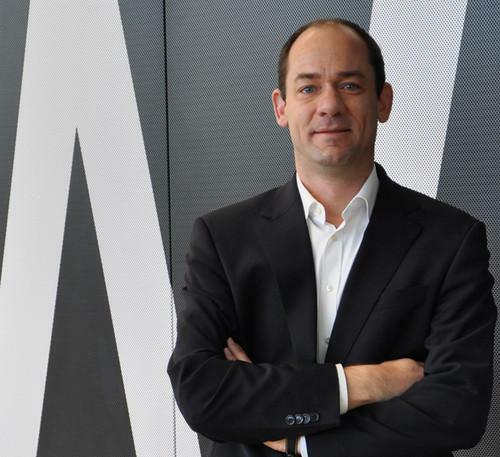 Adidas Group CIO Jan Brecht is 42, and joined from Daimler AG in 2009, where he was based in Detroit as CIO Americas. He studied theoretical electrical engineering and applied mathematics, then went international very early in his career, with stints in France, the U.K. and the U.S. Asked about key turning points in his career, Brecht says, "It's the big project in which you grow." A huge international expansion into China and South Africa when he was working in IT at Mercedes meant the company needed a scalable solution much faster than anything it had before. "It was a huge challenge at the time, that kept me up at night. But we managed. And you always build on these experiences, right? They help you not only from a technical perspective but also I hope from a maturity perspective." Then, prior to taking on the CIO role at Daimler, he went to the U.S. to integrate IT after DaimlerChrysler AG was formed by a merger in 1998 -- only to then have to also take it apart when the majority stake in Chrysler Group was sold in 2007. "That was one of the biggest M&A projects in the history of this planet, I had the pleasure, or the challenge, to lead the IT part of that. It was a very stressful time, and it certainly helped me to grow," Brecht says.